What a great idea for a healthy dessert or snack! 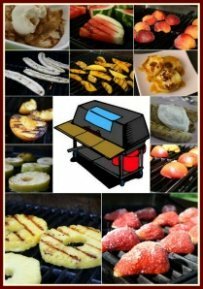 Try some simple indulgence for your summer barbeque! Everyone enjoys trying something unique, so why not make grilled strawberries and wow your family and friends! 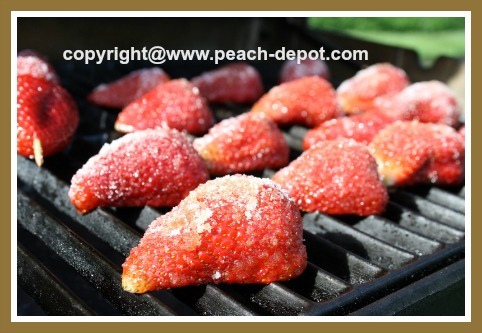 How to Grill Strawberries on the Barbeque! 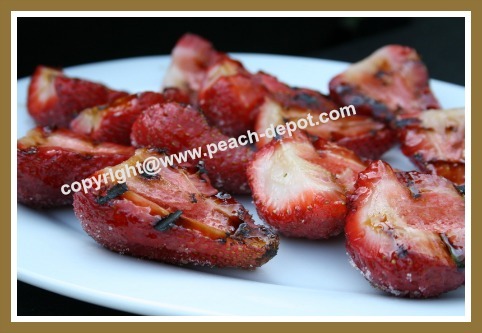 Grilling strawberries on the barbeque is quick and easy. Serve them warm over top of ice cream, with chocolate sauce and whipped cream for a decadent summer dessert! 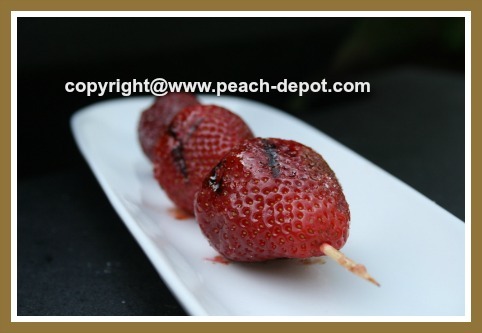 Strawberries can be grilled alone, or included in a grilled fruit salad, on skewers (strawberry kabobs), or served with cake for a grilled fruit dessert recipe. These grilled fruits also make savory appetizers to any bbq! 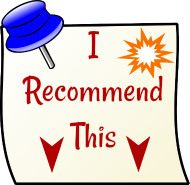 Be sure to scroll down this page for easy-to-make recipes for grilling with strawberries. Preheat grill to high heat. Clean and oil grate. Wash and hull fresh strawberries, and cut large ones in half. 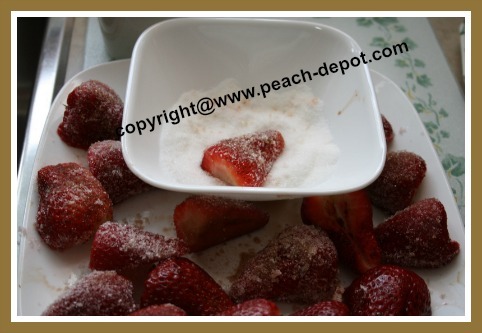 Coat, fresh, (hulled if desired), strawberries with balsamic vinegar, then roll them in granulated sugar. 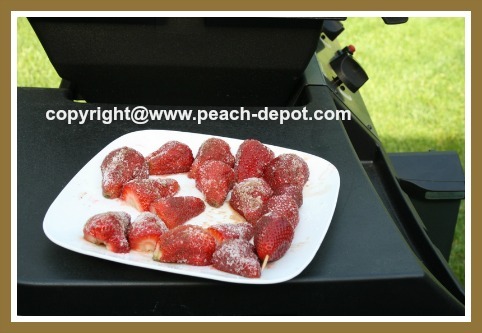 Reduce grill heat to medium-low heat, about 3 - 4 minutes, until grill marks appear, and fruit is warm. 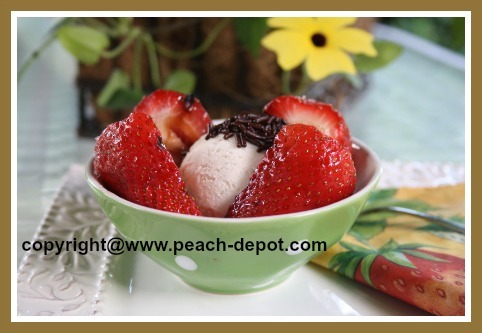 Remove from heat and serve over ice cream, pudding or pound cake with a dollop of whipping cream. 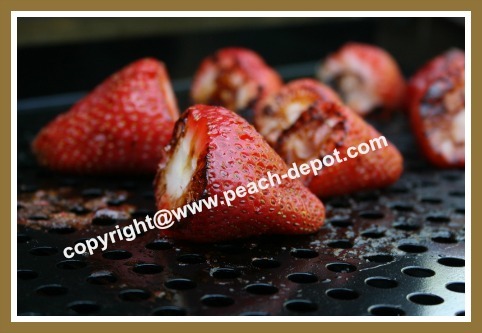 (Use this method to grill strawberries in a grill-safe or disposable aluminum pan on top of the barbeque grate) (I used a flat, perforated grilling sheet without sides). Wash, hull and trim the stem end of the strawberries to make them flat. In a bowl combine: 4 tbsp. granulated sugar, 1/2 tsp. vanilla extract, 4 tbsp. orange-flavoured liqueur (or 2 tbsp. water and 1 tbsp. lemon juice). Toss the berries in the sugar mixture to coat. 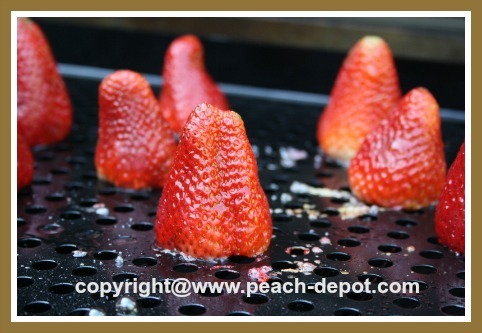 Place the berries, flat side down, in a single layer in rows, with strawberry sides almost touching each other, in a buttered, 8" x 8" grill-safe or disposable aluminum pan. Cook over direct high heat, with the barbeque lid down, until the strawberries are bubbling and beginning to slump, about 7 - 8 minutes. Keep watch, cooking time will vary depending on the size and variety of the berries. Remove from grill before they "collapse". 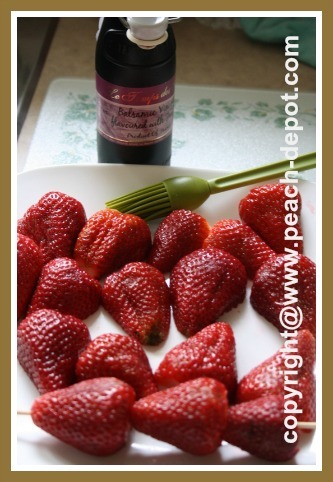 Spoon the pan juices over the strawberries to moisten them. Spoon the grilled strawberries over ice cream, pudding, or pound cake with a dollop of whipped cream. Refillable oil spray bottles are a great kitchen aid for when grilling fruit, adding oil to a leafy green salad, and more!